So do I have a right to be negative and essentially complain about books when there was a host of great books this week? Of course! Mainly because some of the bigger books in the main two companies were genuinely disappointing and of interest. 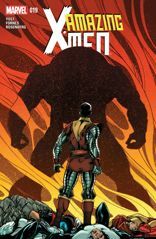 Firstly as much as I have tried to eliminate the existence of All New X-Men and Black Vortex from my mind, I still had to read them. Besides X-Men is my first love and I could never stop reading it. The biggest turn of events was Kitty Pride becoming a cosmic version of herself and technically becoming engaged to Peter Quill. I was hoping that it was a separate self contained story but when Kitty disappeared in All New, I was quite upset. She was always the heart of the team and so important with the younger X-Men, and with Xavier, Logan and Scott all missing, she is really leaving a large void. The All New X-Men Utopians issues was a reasonable enough issue but the surprise mutant group at the end was not enough to appease my dismay at the loss of Kitty and more teenage melodrama. I initially tweeted about how much I disliked X-23’s highlights, but I was pleasantly directed to a Wolverines issue which explained them. It was quite touching she wears the colours of Wolverine as a badge of honour and reflection. Convergence issue three was a perfectly competent comic but I take issue with unnecessary deaths that become devoid of meaning even if they seem to be gallant. There seems to be a straightforward mechanical way of thinking when it comes to big DC storylines, the event seems to be more important than the participants. I never feel moved with the events and this takes away my enjoyment of the story. Perhaps that is just me. 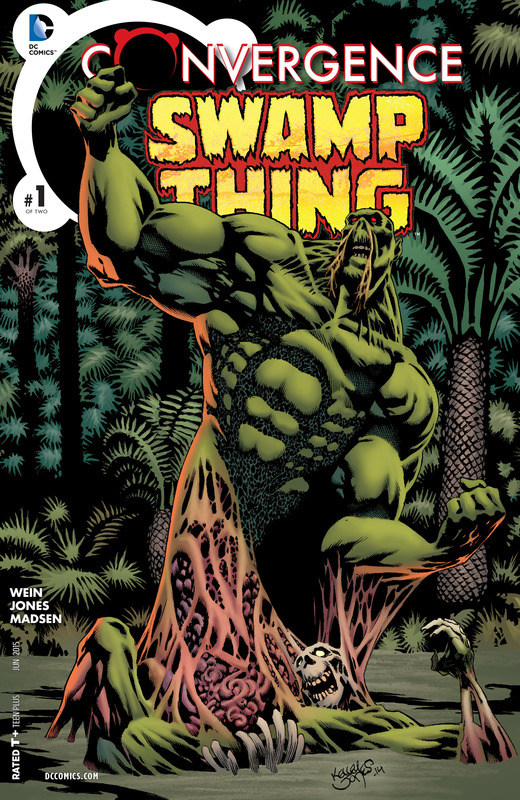 Even though the story was somewhat rushed, I was really taken back to the classic Moore Swamp Thing. The love between Abby and Alec is so good to see again and I am happy Wein was able to write another story about the character he created. Even Kelley Jones art was reminiscent of gone by age. This was the issue I was expecting from the last and the Red vs Green story is over. 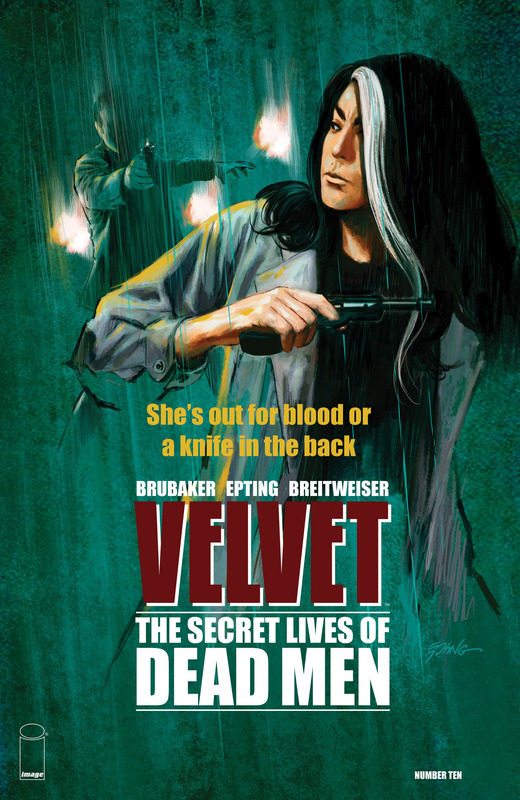 Given it began so very long ago, Duggan gave it the due care and attention and I was happy to read it. 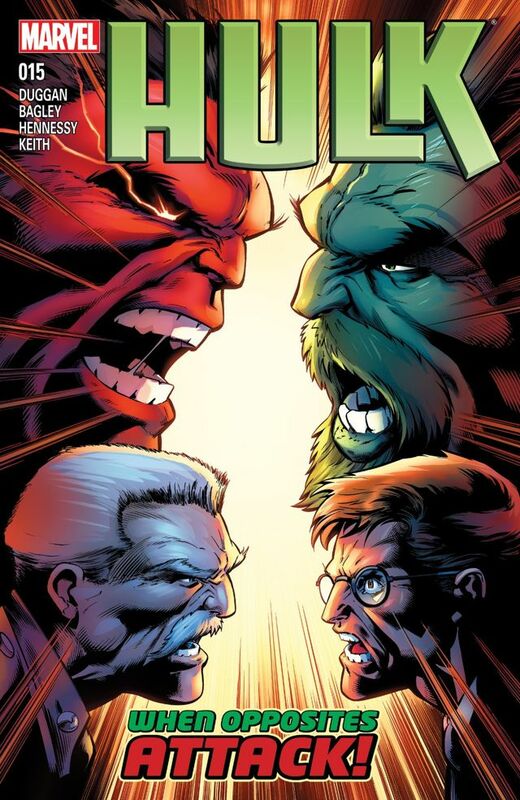 Whatever is happening next with Green and Bruce, I look forward to it and await the next change in the ever so tragic life of the Hulk. This culminated an interesting story about the Juggernaut and Colossus. It finally took Piotr out of his long drawn out depression and back in to the X-fold. I am not really sure what is happening with the Cyttorak but I doubt we will be seeing him anytime soon! I really cannot complain about this book because it finally gave what I have wanted for a long time, answers. As bizarre and surreal as they were, the story did come to a culmination and Natasha made her decision. The consequences have yet to be realised but the art will forever impress. Finally we are back on track and the solemnity of the previous issues has finally disappeared. The humour is back and the gang is coming back together with Tony at the helm. This issue had one of those moments where you rejoiced because you know the Collector is is in trouble and Chu is back to being badass again. 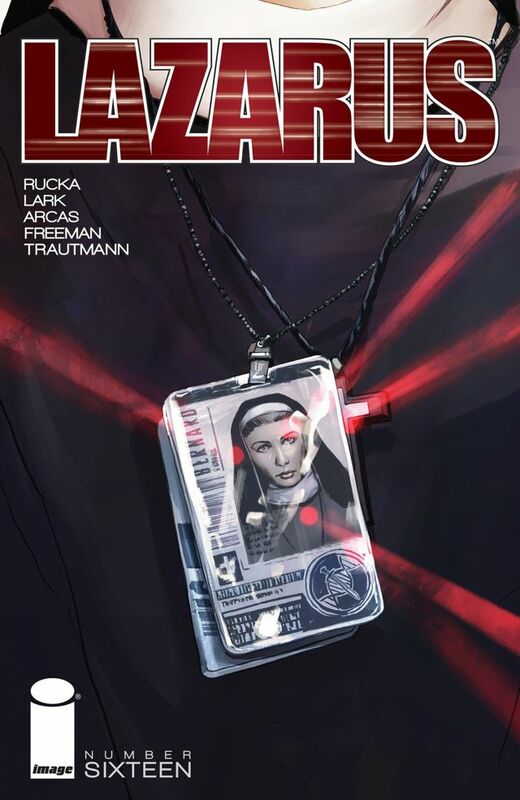 This comic is rapidly becoming a favourite because the tension and plot development is pretty impressive. The initial issue saw the main character perform some hideous actions and the twist was that he is to be leader of the city. We build on that here and the toils of a corrupt political system are well demonstrated on the common man. The art is dark and of rich texture. You have to really congratulate the creators on developing a book that really does not relinquish any answers to the locale of our adventurers. 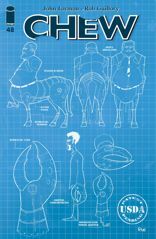 Instead they show new creatures, new threats and in party squabbles which provide great entertainment to the reader. 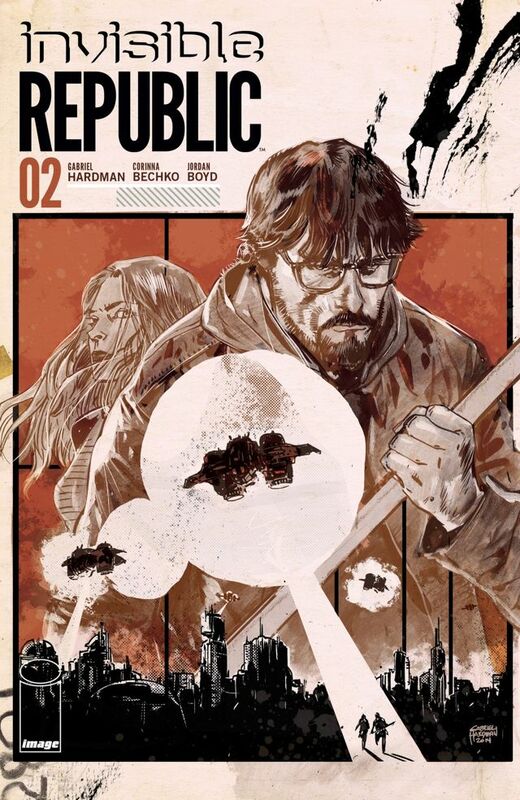 The personalities and politics are entertaining and engrossing with the most gorgeous artwork. 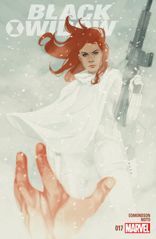 Similarly to Black Widow, I have something to be very pleased about, a character with depth. Forever seems to have taken a backseat for the time being and Sister Bernard is given time to tell her story. The comic utilises Lark’s ability for darkness and despair with come sublime colouring in the dark of night by Santi Arcas. The action sequences in this issue were astounding and Remender, combined with Craig, bring the tension in an all too fearful way. However well trained these assassins are, the gang members seem so incredibly vicious and genuinely scary. 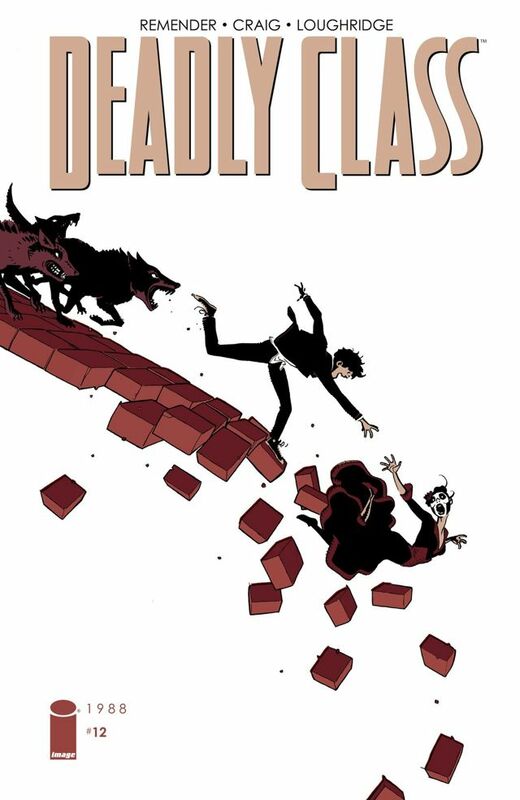 There is no better comic book out there today than Deadly Class for oh so many reasons. To think that the second arc finished with barely more answers than questions may be considered annoying. However with incredible panache and tenacity we see Velvet escape an all too ominous threat, only to realise the folly of her ways. The art, colouring and plot are so in tune that it is such a joy to read every month. 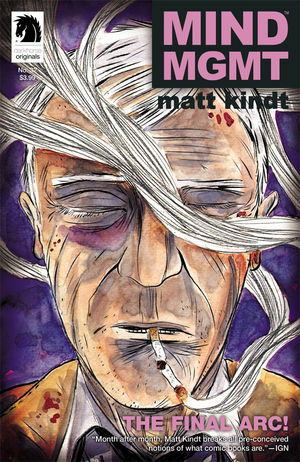 It is almost over as the Final Arc enters its second issue with Duncan and Perrier in an almost stand alone issue. It is rare that this issue takes the time to develop a relationship these days but this was heartfelt and beautiful. The art was classically Kindt but there was more warmth this time and it was lovely to read. This could not be more opposite to the comic described above as we finally understand the deep and sordid end to Mr White’s life. As much as it is incredibly hard to follow the goings on in this comic, the art is so impressive. 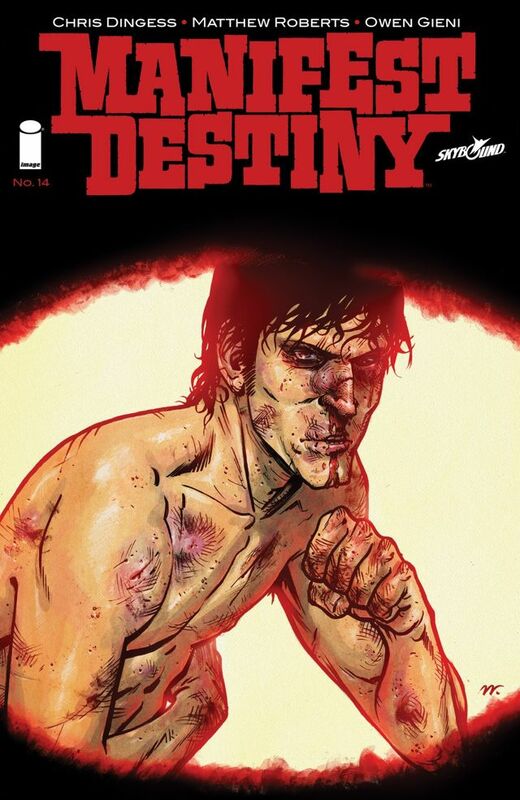 Chaykin seems to have a grasp of the desperation and carnal desires of the people he draws, and like no other, is able to express that on the page. This is the sole reason I continue to buy the comic and why it will be remembered for a while to come. 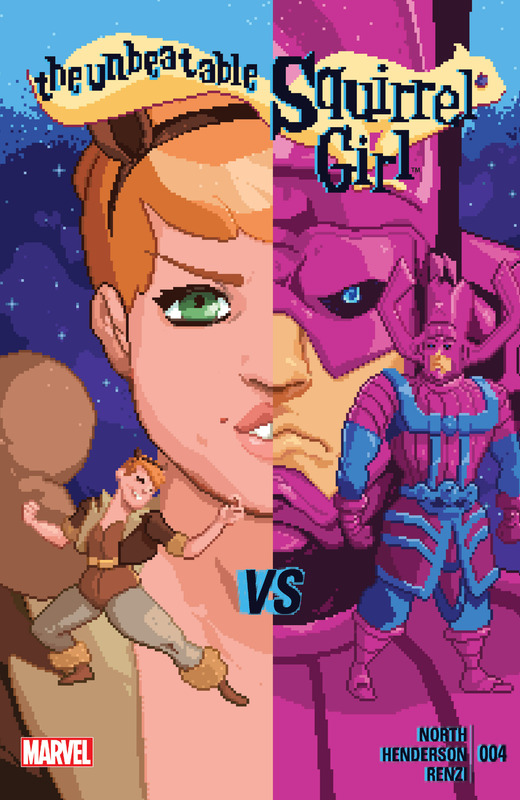 Previous PostThe unbeatable Squirrel Girl #4 – Is she really unbeatable?